Kourtney Kardashian purchased this Calabasas, California house in 2014 from retired pro football player Keyshawn Johnson for $7.45 million. It is located in the "Estates at the Oaks" guard-gated community. 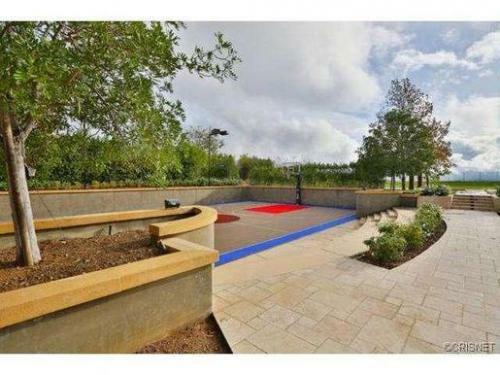 Keyshawn had listed this 11,746 square foot house originally at $11.995 million in March 2011, later dropping the price to $10.5 million by December 2012. 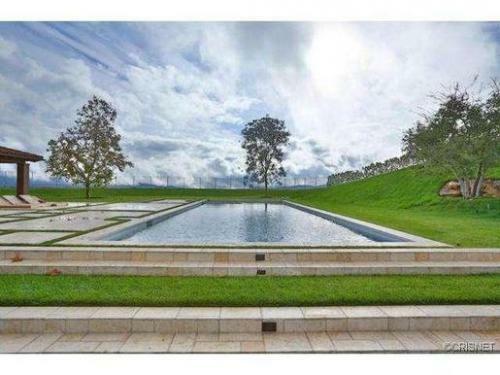 By the time Kourtney was looking at it, the price had again been reduced to $8.495 million. Kourtney managed to get an even bigger discount on the property, paying only $7.45 million for it, according to public records. The 6 bedroom, seven full and two half-bathroom house sits on 1.86 acres. It features a home theater room, spa and exercise room with a sauna. 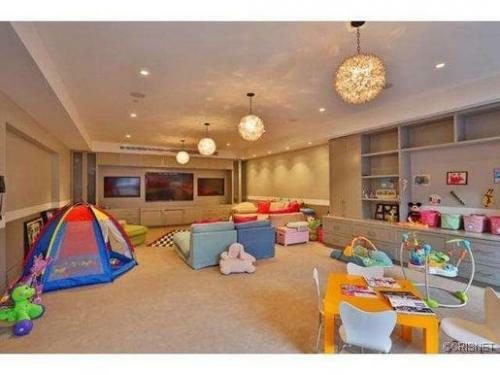 There is a 4-car garage and a extra-long swimming pool to cool off in. Kourtney Kardashian's net worth is said to be around $18 million, according to CelebrityNetWorth.com. She is one of the stars of the TV reality show "Keeping Up With The Kardashians", where she earns a reported $50,000 per episode. Due to the show's popularity, Kourtney makes a lot of money from endorsements, including QuickTrim and Carl's Jr. She has also expanded into a commercial empire of products such as fragrances, candles and workout DVDs. 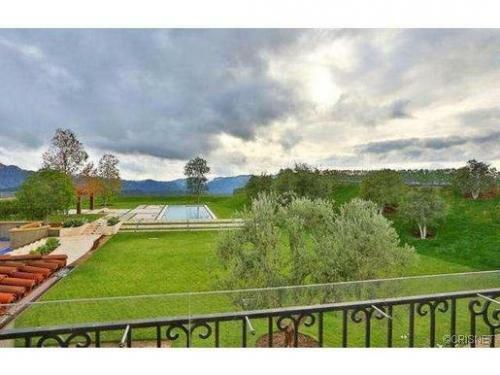 Kourtney's two previous houses (also in Calabasas) are also featured on this site. Her first home was purchased for $300,000 in 1998 and sold for $700,000 in 2010. They purchased their second house in December 2010 for $1.7 million and sold it in 2014 for $3.499 million, before moving here. 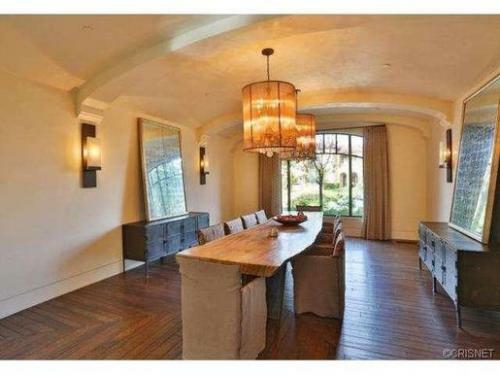 Kourtney Kardashian just went to contract to purchase the house for $8.4M.